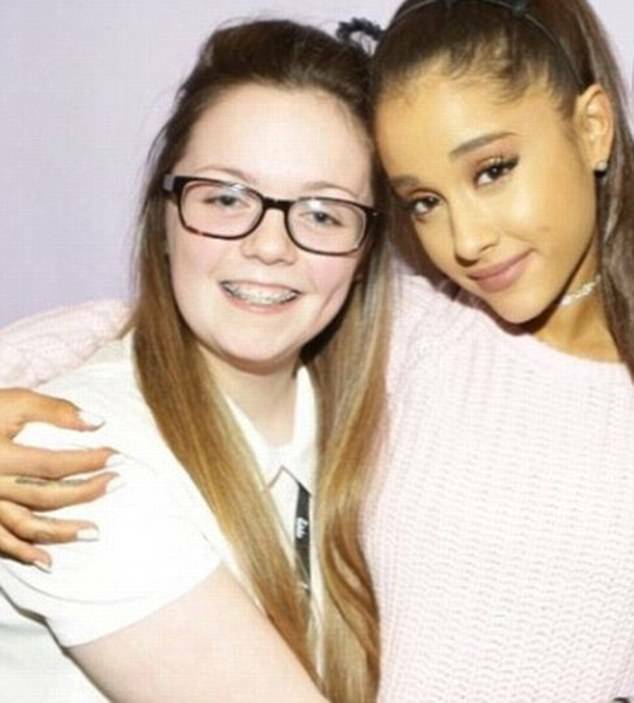 The mother of an 18-year-old Manchester bombing victim has recalled her anguish as she watched her daughter die. Lesley Callander was on her way to collect Georgina from the Ariana Grandeconcert when Salman Abedi detonated his nail bomb, killing 22 in May. 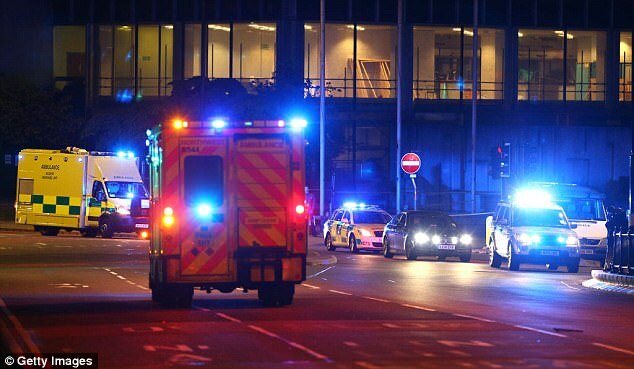 The 54-year-old arrived to a scene of devastation, with sirens ringing, people screaming and bodies strewn across the lobby of the Manchester Arena. She saw her daughter being attended to by medics on a makeshift stretcher and rushed over. 'They were doing CPR and had the balloon over her mouth trying to keep her alive,' she told the Daily Star Sunday. 'I was talking to her. I was saying, "Please Georgina, please just try, it’s mummy, please try". Mrs Callander said she was holding her daughter's hand and rubbing her leg in the ambulance to hospital. When they got there she waited outside a threatre while medics tried to revive her. Doctors don't spend more than 25 minutes doing CPR. A nurse invited Mrs Callander in for the final two minutes where she held her daughter's hand until they stopped. Moments later Georgina's father Simon and brother Daniel arrived at the hospital. Mr Callander said he wailed on the floor when he heard the news and then went home, drank ten cans of lager and wandered the streets for the rest of the night. He said he didn't leave his bedroom for two days. In August Georgina's family warned the Government to 'open its eyes' to the terror threat - or more parents could lose children. 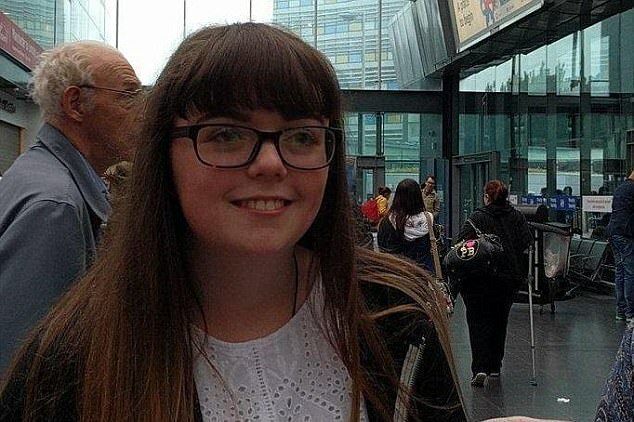 In a statement released through Greater Manchester Police, her family said the teenager's life had been cut short by 'evil, evil men prepared to ruin lives and destroy families'. Miss Callander, from Chorley, was in her second year of studying health and social care at Runshaw College in Leyland, Lancashire. She was 'loving life', having recently passed her driving test, was 'doing great' in her exams and had been accepted into Edge Hill University, the family said. 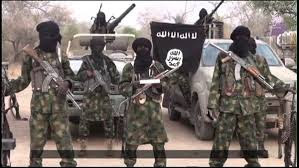 The family's statement said: 'Her life was taken away after 18 short years by evil, evil men prepared to ruin lives and destroy families, for what? 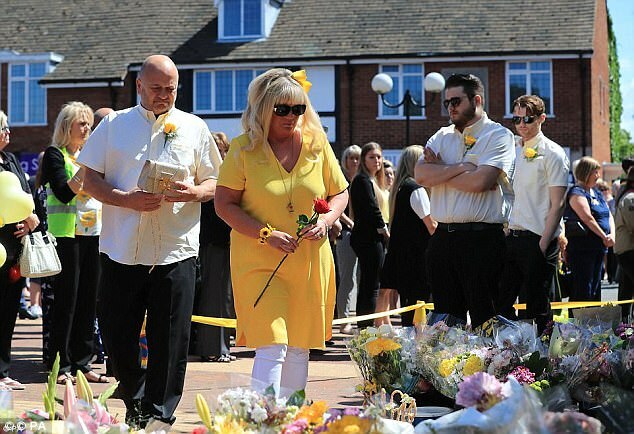 'Georgina was as beautiful on the inside as she was on the outside, with a smile that was never ending. 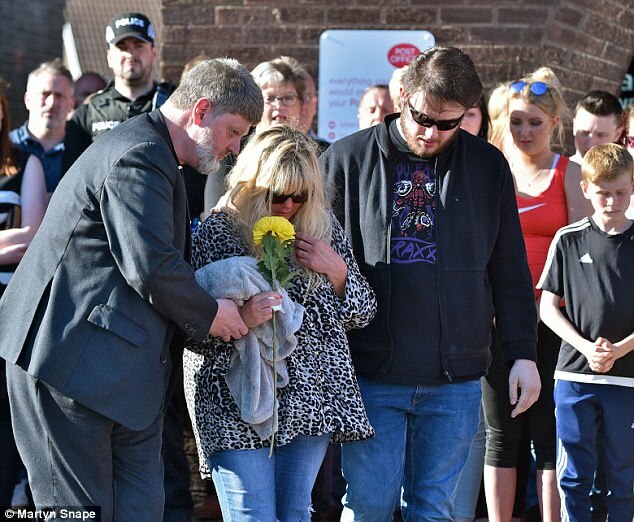 The family paid tribute to the 'wonderful police and rescue services' and thanked the public, saying the 'hugs, love and kind words' from the public had 'a profound effect' on them. Lesley Callander previously described her desperate efforts to bring comfort to the teenager's final moments to ITV news. 'I was just screaming and shouting at her. I was rubbing her hands, I was rubbing her tummy, I was rubbing her face,' she said. 'I don't know what was running through her mind. The young music fan previously met Grande and posted a picture of the pair together on social media.